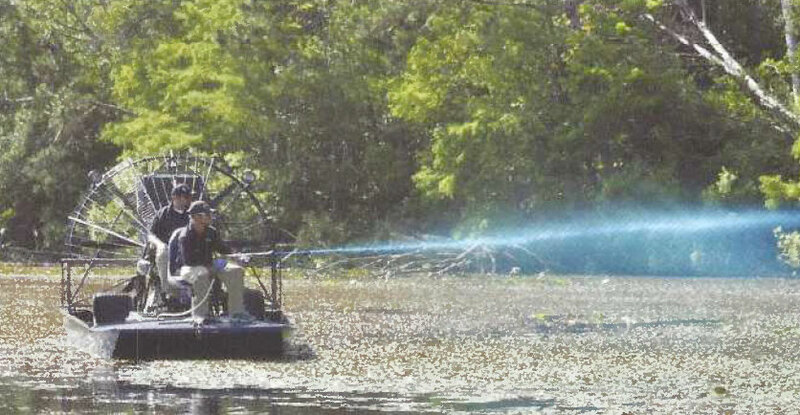 Aquatic Weed Control - Lake Management Services, L.P.
Water is rapidly becoming one of our most precious and valuable resources. The use of the water on golf courses, real estate developments and private property not only provides recreational and aesthetic pleasures, but also increases land values. The unwanted infestation of aquatic weeds can decrease the aesthetic appeal of the water as well as the surrounding property. It can interfere with recreational activities and can be detrimental to aquatic life. Decomposing organic matter can cause foul tastes and odors, as well as dep lete dissolved oxygen and alter the pH of the water. Heavy weed growth can provide a resort for stagnated water, mosquitoes, and snakes. LMSLP has developed a management program that provides year round control of all aquatic vegetation problems. We use only registered, EPA-approved aquatic chemicals which are safe for the environment, including man, animals, and fish. Weeds, warm water, high nutrient and organic load ing as well as neglect can all work to destroy the beauty of your waterway. That‘s where LMSLP can help … Proper identification of aquatic species, accurate measuring techniques, trained and licensed applicators with specialized equipment and knowledge of the chemicals and their effects, are all combined to give you a complete, cost-effective aquatic weed management program. A program that is safe for the environment with no side effects.